← CONSOLE WARS: SONY PLAYSTATION 3 OR XBOX 360? As my chainsaw was splattering the entrails of an Ork all over the floor in Space Marines, I was left with a hollow feeling. 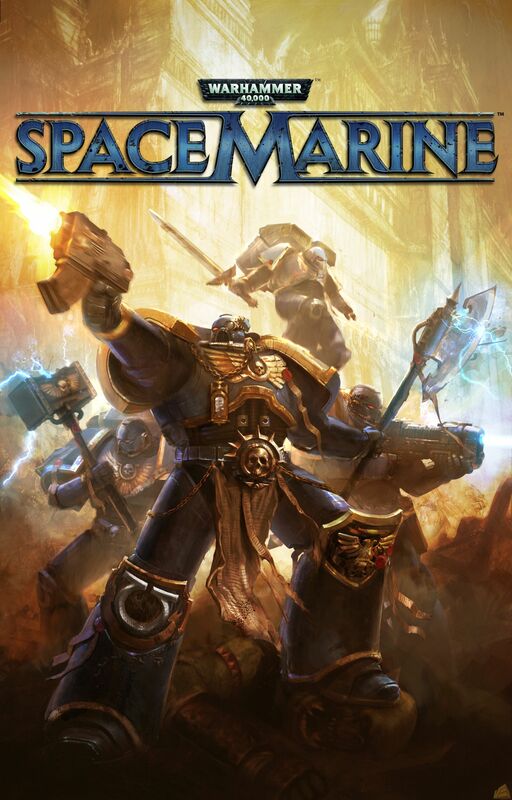 I’m a big Warhammer 40k fan, I love action games, and the action and violence in Space Marines is a lot of fun. So why this hollow feeling? Why the urge to put the mighty chainsaw and bolter away, and swap to Deus Ex or LA Noire? Surely killing orks and fighting the forces of chaos were better than wandering the streets of Detroit or looking for clues in the dark alleyways of 1940’s LA. Then it hit me, the story in Space Marines is absolutely rubbish! The Warhammer 40k world is so rich in potential stories of betrayal, mighty fights between legions of space marines and conquests of alien worlds (plagiarizing the horus heresy could make for an amazing story line), and you end up having to rescue a manufacturing plant. Seriously? A bloody manufacturing plant? What next, space marines save the local chai walla from the evil forces of Chaos? And this is is the first of my top 5 ways to ruin a video game in 5 simple steps. I’m not going to bother with some of the basics such as poor gameplay, terrible visuals as these are so blindingly obvious. Games that don’t get the basics right are worth less than a broken clay pot from the Roman empire. Illogical actions and loose storyline encourage you to give Space Marines a wide miss. through a manufacturing plant pressing buttons to activate different boring options, and when you do hit the button, you have to go find another button to make the previous button work. Another great game ruined by the lack of a story is Modern Warfare 2 – MW 1 is one of my favorite games ever, so I felt like an alcoholic in a whiskey factory when I got my hands on the next installment. However, the terrible and incomprehensible story line just ruined it. A mid-level American officer partners with a low life terrorist to destroy the world. And you’re a UK special forces op working for the Americans? Come on guys – make a bit more of an effort with the 3rd installment or you’re going to ruin all the great work you did with all the previous installments of the series. It doesn’t need to be complicated (although scenarios full of suspense like Deus Ex are great), it just has to make sense and have some variety. There’s nothing more irritating than when you get to the objective and you are awaiting the next part of the story, that you find out you need to go and do something else before you move on. I would like to tip my hat off to games such as LA Noire, GTA (when it first came out), Metal Gear Solid, Mario Kart, Prince of Persia, Final Fantasy and all the other games that brought innovation to our consoles. I’m a big fan of shoot ’em ups but how many third party shooters are coming soon or have been released recently? They’re a lot of fun and give me good mileage for my PS3. But there’s no feeling like getting immersed into something completely different. All my favorite games have brought innovation in story lines, graphics, playability and pushed the boundaries of gaming forward (Prince of Persia, MW, MGS, Mario Kart, Red Dead, Halo, etc.). FIFA always ensures long hours of fun when you are playing with friends. Why, oh why, do I have to log online to play multiplayer games? I’m chilling at home with friends, whack in a Crysis 2 or a Space Marine, and all we want to do is kill the living daylights out of each other. But no, we have to log-in online to play, and some games you can’t even split screens!!!! I know that online gaming brings the money in, but it doesn’t mean I like it. That’s why I prefer the PS3 to the Xbox. So what happens to me and my friends? Well, it generally ends up being a FIFA session which is no bad thing – and that’s why I always get my hands on the latest FIFA or PES (but that’s another argument). Picture the scenario. You’ve just bought you’re latest game. You’ve decided to save some money and you’re spending Friday night at home (come on, it happens to do the best of us), you’ve got your delivery guy on speed dial, your fridge is stocked with your favorite tipple, and your phone is off so the world cannot reach you. And 4 hours later, the game is finished…what???? I ruined my Friday night and spend more than 2000 bucks for that! The latest Prince of Persia is the classic example of that. I know this has happened to me way too many times (yeah, cool quotient down the drain). As I was writing this, I was trying to remember the name of the games where this happened. I couldn’t. Nuff said. I do feel bad writing this as I know it’s nearly impossible for a games developer to eliminate bugs completely, but there are some bugs that just drive you crazy. Enemies stuck in walls you can’t kill and have to commit suicide before starting again, I can live with. But pressing the button to enter my car in LA Noire and getting run over, or being stuck at a level of Black Ops and not being able to get through because the screen went dark – drives me crazy! I know developers already doing a better job with Beta launches of filtering for bugs, but what about an option to report a bug in the game directly (and maybe even skipping the place you’re stuck at). Too much to ask? You’ll have noticed that some of the great games of our time make one of these 5 basic errors. Making one isn’t going to completely ruin the game, but steering away from this can transform a good game into a fantastic one. I know some of you might be reading this saying “What about x? How about y?” These are the 5 things that irritate me the most. But feel free to add yours, I’ll most likely agree or learn something new. So put your money where your, err, keyboard is…. Like us on Facebook and follow us on Twitter and on WordPress (here!). This entry was posted in Articles, Uncategorized and tagged Deus Ex, India, Modern Warfare, Ruin, Space Marine, Top 5, Video Game. Bookmark the permalink.